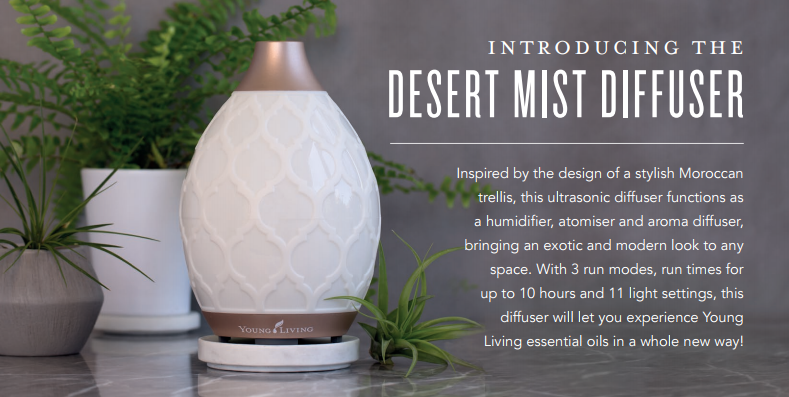 Combining state-of-the-art ultrasonic technology and traditional Chinese craftsmanship, Young Living’s Rainstone™ Diffuser provides a balanced convergence of the grounding element of earth with the enveloping and soothing powers of essential oil-infused mist. Created with an exquisite and rare purple clay found only in a small region of China, each Rainstone Diffuser is handmade using ancient craftsmanship passed down from generation to generation for more than 1,000 years. The Rainstone requires 4-5 hours and dozens of hand-produced manufacturing steps to create--a skill set that requires at least three years of experience for each technician to perfect. Young Living’s Rainstone has a robust feature set, including continuous ultrasonic diffusion at 1.7 million waves per second; 1, 2, 3, 6, and 8 hour settings with automatic shutoff; five soft LED light settings (blue, yellow, purple, alternating each color, and off); a negative ionizer; and a remote control. The Rainstone’s elegant design and handcrafted artistry make it an exquisite piece of art to complement any décor and transform any space into an inviting, aroma-filled atmosphere. Open up the instruction manual that came with your diffuser. Have you read it? You will find operating instructions and cleaning instructions inside. Today would be a great time to do that! Try a new oil combination in your diffuser. Need some ideas? Check out the "Perfect Scents" photo below! Want more ideas? Ask an oily friend for their favorite combo!